Fine Form manufacture and stock stormwater pits, pit risers, headwalls and grated kerb inlets. We also stock fibre reinforced concrete pipe. Our drainage products are ideal for residential and commercial projects. Fine Form have completed large civil projects for local contractors and multi-national companies. 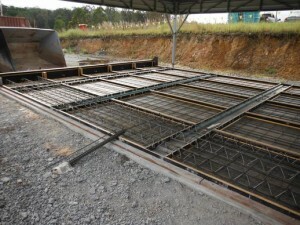 We manufacture and install concrete bridges, culverts, wing-walls, and other drainage solutions for roadworks and residential developments. Our yard is set up for large manufacture projects. The process is easy, drop in your plans, discuss a time frame with the team and let Fine Form manufacture the products you require. We take the hassle out of the construction process.